If you like what you’re reading, I have several novels available that you might enjoy. 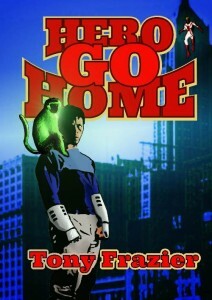 Hero Go Home – The story that gave this site its name. Superhero Digger appears in his very first novel! When he is approached by some former teammates to join a new supergroup, Digger jumps at the chance, even though his role is only to mentor a younger, more powerful hero. But then a mysterious figure from his past warns him that all is not as it seems, and soon, all hell breaks loose. Literally. Green monkeys and a Silver Scorpion! A Man Who’s Known By Many Names! Balloon Armor! Ninja Robots! A Valkyrie Riding a Giant Wolf! A Deus Ex Machina! An Alien Invasion! Superbattles Galore! Hell on Earth! All in Color for a Dime! Okay, that last one was a lie. It’s a prose novel, and it’s $3.99. But all the rest, seriously. Go read it. Also available in paperback from Createspace for $15.95 (plus shipping)! 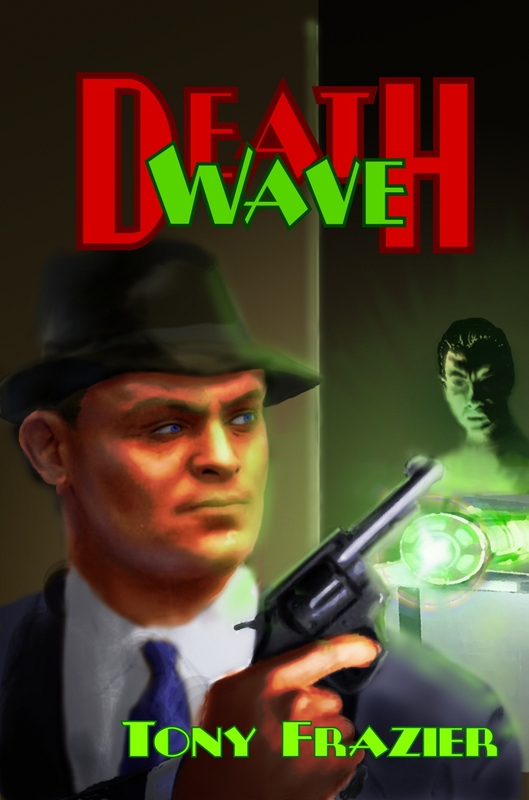 Death Wave – Revenge noir with a scifi twist. Forty Dollar is just a normal guy trying to get along in the height of the Great Depression when an old friend, gangster Jerry Gold, shows up with a proposition: build him a death ray. Forty needs the money, but that’s not why he takes the job. He’s also secretly in love with Gold’s wife, Rebecca. And when Forty learns that Rebecca may also share his feelings, it leads to a wave of revenge, death and destruction for all involved. The book is short and sharp, with enough scifi and humor to let you know it’s one of mine. It also available on both Smashwords and Amazon. Also available in paperback from Createspace for $8.95 (plus shipping)! Blue Falcon – My first novel, and certainly not my best. Tensions are rising on the Korean peninsula. The North Koreans have released a statement that basically said, “Give us something to eat or else.” The South’s reply amounted to, “I’ve got something you can eat right here.” Things went downhill from there. Now a war game has escalated into a full-blown invasion, and Specialist Lauren Beck just wants to go home. That is, if a know-it-all reservist, a lost American infantry squad, a Seoul spy turned crime lord, and an enemy sniper with a thing for blondes will let her. Blue Falcon is the story of a modern day Korean War, as seen by the soldiers on the ground. Like the blind man and the elephant, each soldier’s perception of the war will be very different. And from the opening confrontation over a contraband toy, to the final showdown at an abandoned farmhouse, everyone involved will learn that in war, as in life, things never turn out as planned. Available at iUniverse and Amazon. I’m hoping to have two more books out by this time next year. With your support and encouragement, I can do it.